I flesh out some details and answer your questions about the Roman army in 800AD. I think they got retro-renumbered to get rid of A and B. However, now “old” the audio says one number and the “new” filename says another. There’s no 88 or 89, is what it boils down to, afaict. I am calling it a blip and moving on. I am willing to forgive much of this guy. Just wanted to pop by and thank you yet again for this fantastic podcast. It is my favourite on all the web together with history of english podcast. Congratulations on your 90th episode! I’ve always loved the podcast, I just wish the end of century look around wouldn’t take so long. I really miss the chronological narrative. But what I really came here to post was to ask whether we can consider the tagmata to be a new and improved version of the old Praetorian Guard. It seems to have the same basic advantage (having an elite unit stationed in/near the capital), but by separating the guard, this eliminated the possibility of having the guard make and unmake emperors and/or auction off the imperial throne, which plagued the earlier Roman version. 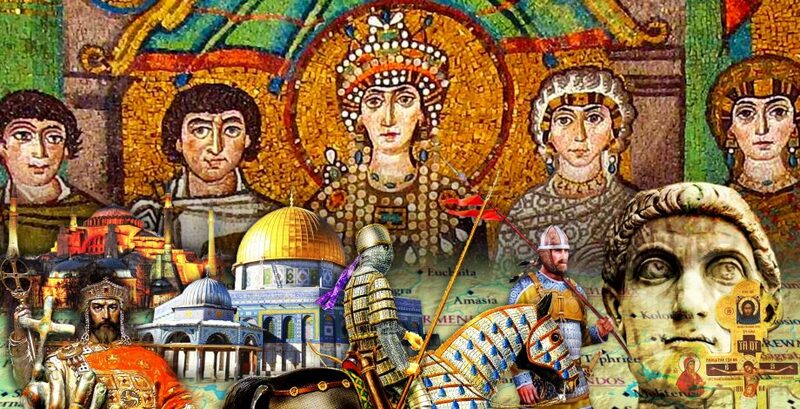 Do we know if the Byzantines consciously made these improvements after having learned the lessons of history? You’re so right about THOR. I don’t know whether Constantine V read his history or if an advisor did. I think though that the Tagmata are more like a return to the Praesental Armies rather than the Praetorian Guard. The PG were rarely expected to go on campaign my memory tells me. Whereas the Tagmata were designed to join and lead expeditions. Plus the Palace in Constantinople always had guards units to defend the Imperial person. This didn’t change that. You can find these books on the Bibliography page (see top of the site menu). Warren Treadgold – Byzantium and its Army argues for the larger numbers, taking as literal the army lists reported by Arab geographers. Mark Whittow (Making of Orthodox Byzantium) and John Haldon (Warfare, State and Society) argue for much small numbers.